Direct flights between Europe and Australia! Qantas confirms non-stop London to Perth route! Wizz Air expansion in Romania: new routes from Craiova to Paris and Venice! 6 New Ryanair routes to Poland in the summer 2017 schedule! 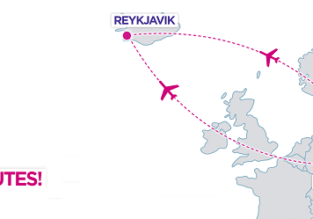 Wizzair: New routes from Budapest to Faro, Lamezia, Bergen and Hannover! 3 new Ryanair routes from Newcastle: nice destinations in the summer 2017 schedule!